I took a drive through the Viera Wetlands Sunday afternoon. 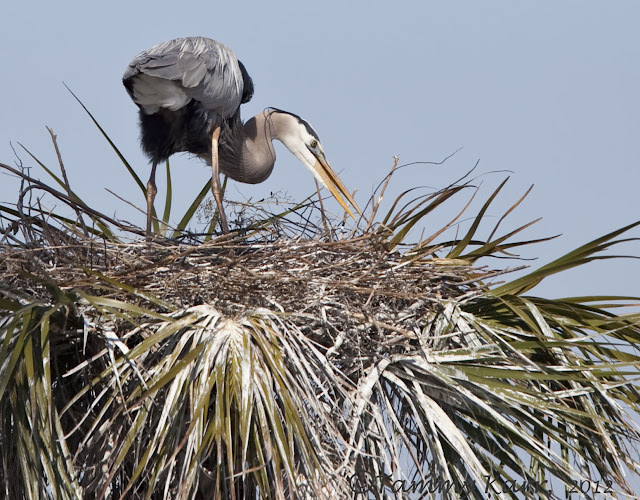 I saw the usual variety of water birds, including Great Blue Herons, Great Egrets, Snowy Egrets, Tricolored Herons, Little Blue Herons, Limpkins, Anhingas, Cormorants, and Ibises. Digging down as far as its neck would go, this Limkin brought up and consumed 4 snails in the 15 minutes I was watching. Limpkins feed almost exclusively on Apple Snails. I didn't get any decent photos of the Limpkin with a snail. 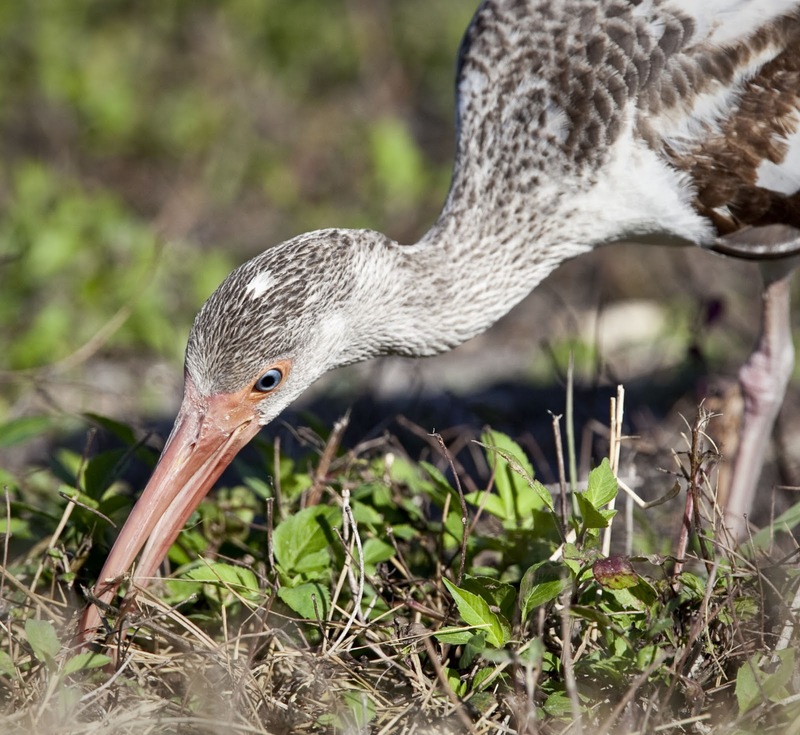 This immature White Ibis was foraging for bugs in the grass. The wetlands is home to numerous White and Glossy Ibis. 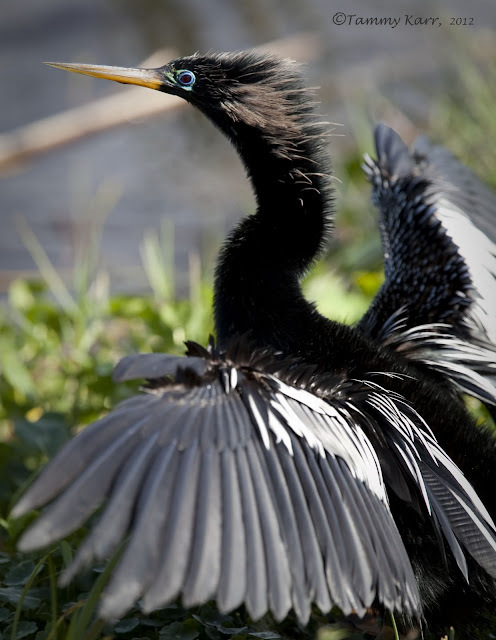 The Anhingas are beginning to nest at the wetlands. This one is displaying its breeding plumage. 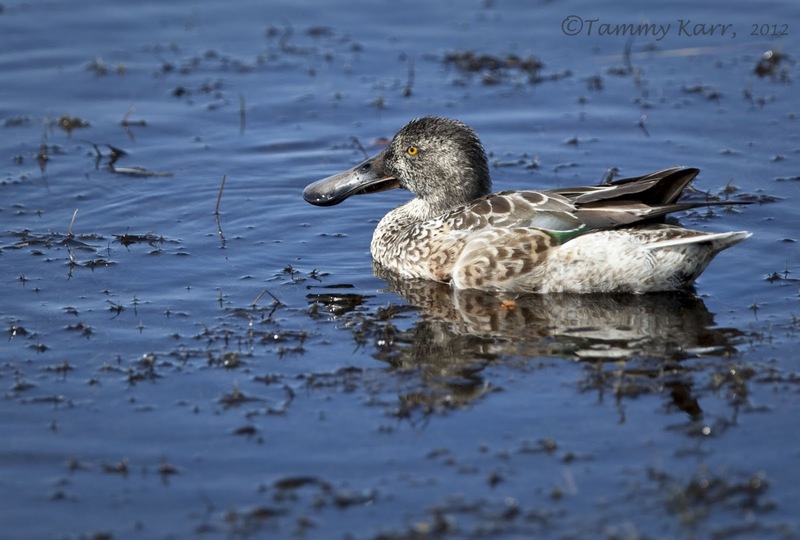 There were several Northern Shovelers present, as well as Blue-winged Teals, and Hooded Mergansers. There are also thousands of American Coots making the wetlands their home right now. Looks like I wasn't the only one tidying up the house on Sunday! I saw 4 pairs of Great Blue Herons currently nesting. Some stunning images there Tammy, that shoveller looks like one miserable bird. the colours on the Anhinga are stunning, and I love the DOF on the Ibis. Thanks Shaun! 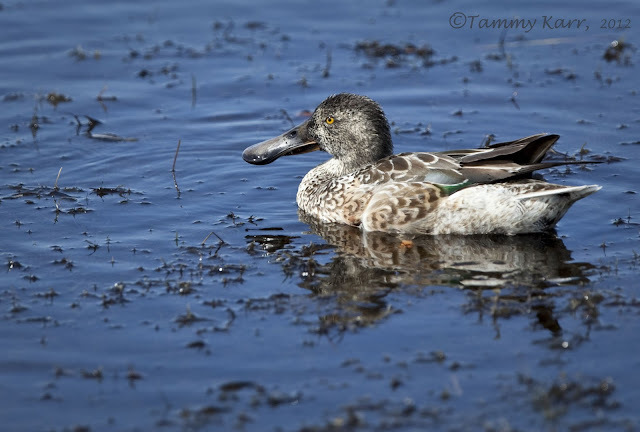 I do wonder if the Shoveler gets tired of carrying that large bill around, could be be much worse, though. 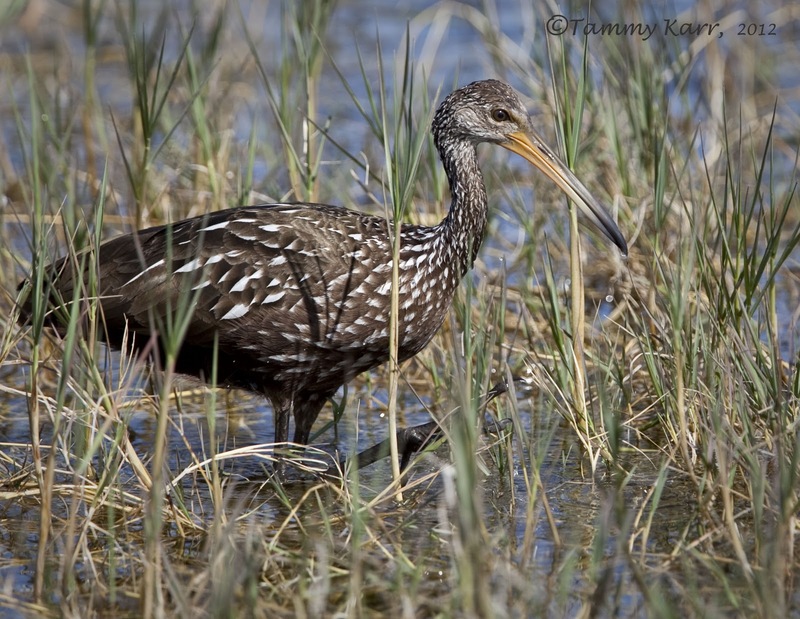 Very cool, love the Limpkin. gorgeous shots! up close and personal! Thanks Tex! I think the birds here are used to seeing alot of people. Lovely shots.. you really do get up close, wondering what lens you use....the shovellers are up here too and hard to photo...we have some similar birds...the heron.... Ours won't nest until May. Thanks! I was using a 300 mm with a 1.4x. The GBH here usually start around the end of December, but some are just starting now. Thank you for having made a visit to our blog and to have left a comment. Great shots Tammy. Nice light you have there. Todas son preciosas, ¡como siempre!